Sarah Cunneen, a Physiotherapy student in TCD, hails from Silvermines in Tipperary and has had a successful underage career winning an All-Ireland Minor A final with Tipperary in 2012. Cunneen’s partner is Allie Kelly a Dublin native Business, Economic and Social Studies student was honoured to be selected as Trinity joint Captain for 2016. The wing-forward and corner-back had no doubt when selecting Claire Phelan from St.Pat’s Drumcondra as their toughest opponent in the Fr.Meachair competition and also agreed on IT Carlow as their toughest opposition given their competitive past with the two colleges in the Fr.Meachair championship. 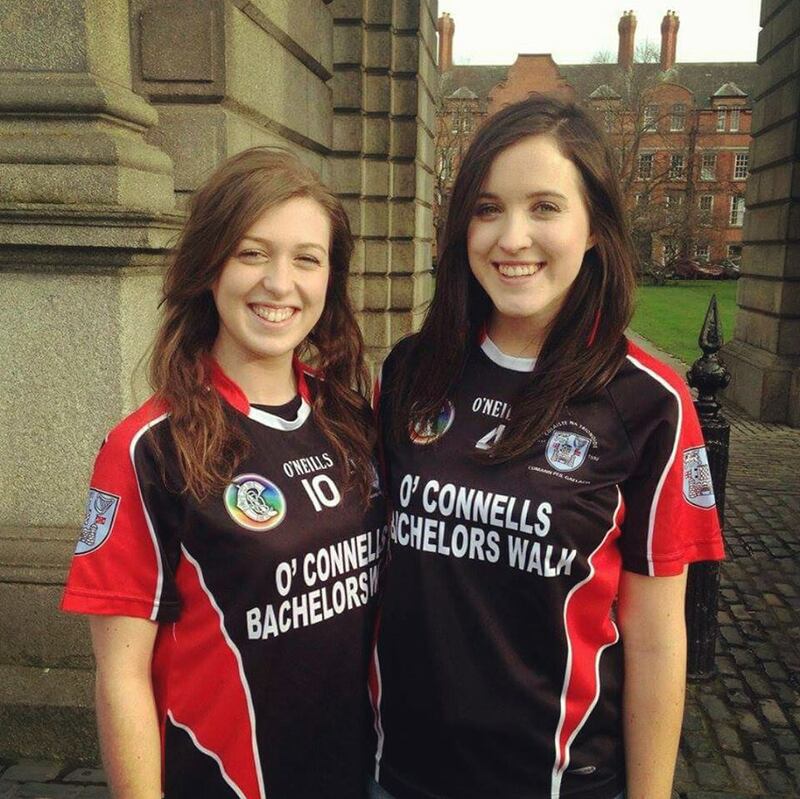 Looking forward to their game on Thursday, the TCD two are expecting a tough game but an exciting one. This entry was posted in News and tagged Dual Camogie captains Sarah Cunneen and Allie Kelly share the responsibility of leading their trinity side through the Fr.Meachair championship., Fr.Meachair Championship, Sarah Cunneen and Allie Kelly by CCAO PRO. Bookmark the permalink.